Nestled in the heart of the Allegheny Mountains of West Virginia, this 450 acre mountain complex offers the opportunity for individuals and groups to relax, reflect, enjoy their surroundings, and learn and interact with others in exploring the most important aspect of our lives, our organizations, our world. The 150 acres in the valley is a working farm and is home to horses, llamas and Long Horn cattle. From above, whether misty or clear, the beginnings and endings of daylight are spectacular, and the view of the valley in the quietness of the hills brings with it a sense of peace and wellbeing. The Retreat and Conference Center is host to Mountain Quest Institute (MQI), a retreat and research institute focused on working with individuals, groups and organizations to achieve growth, understanding and high performance in this age of change, uncertainty and complexity. 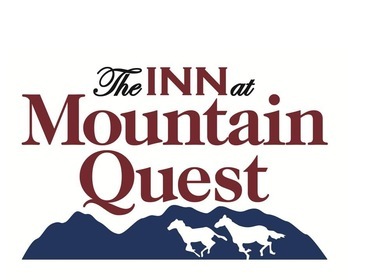 QI offers organizational development sessions for executives and knowledge workers at the Mountain Quest complex, as well as formal courses on integrative competencies such as Complexity and Systems Thinking, Knowledge Management and Knowing. MQI also provides consulting services to industry and government in areas such as strategic planning, decision-making, organizational design and development, knowledge management, knowledge and knowing, leadership, change management, and team building. In the Allegheny Mountains of West Virginia, summer gallops in after a long winter of snow and the short breeze of Spring. In the green field adjacent to the farmhouse, our little mountain quest (“Mounty”) emerges from his Polish Arabian mother into a new world, splaying long, thin legs in his first attempts to stand. Filled with determination and a natural sense of survival, he soon reaches his mother’s milk. This young colt grows with our dreams, dancing and playing across the waving grasslands of the future. In this latter part of our lives, we continue exploring growth and understanding in this age of change, uncertainty and complexity. We are building a place where individuals, groups and organizations can experience the wonder of nature, life and learning. We are writing and sharing what we have learned over two lifetimes, helping to turn the living system metaphor into a reality for organizations. And in our quest for knowledge, consciousness, and meaning, we are meeting others of similar mind and heart. Everything we’ve done, everything we will do, is connected to this moment.